Uterine fibrosis, ovarian cysts and endometriosis are occurring in more and more women today. Personally, I have known of a number of ladies who suffered from ailments that are connected to their reproductive system. I used to wonder why this problem occurs in some ladies but not in others. I came across this insightful book called Intuitive Healing- A Woman’s Guide to Finding the Healer Within written by Beth Moran who is a qualified registered nurse having her own practice. In her book, she provided an excellent explanation on the area of psyneuroimmunology which could be known as mind-body-emotion connection. From the perspective of mind body connection as well as in Chinese medicine systems, unexpressed feelings on the affairs of the heart would manifest in gynecological issues. From experience, she noted that women sometimes put issues of the heart in their pelvis, and ovarian cysts are one example. She mentioned that if a woman come to see her with the cysts problem, she always ask her to share about her relationships. Are they holding on to anger or sadness which needs to be expressed? Ovarian cysts, if undetected can eventually led to ovarian cancer. Christiane Northrup, author of “Women’s Bodies, Woman’s Wisdom” often refers to ovarian cancer as the “Golden Handcuff Syndrome”, since it is often linked to women who stay married to wealthy men for financial reasons, despite enormous unhappiness- another co-dependency illness. A few friends of mine who had uterine fibriods have opted to undergo operation to have their fibriods removed. However, not long after that, the fibriods returned. Even the gynea often advise that the fibroids may come back even after operated. This is the same with growths that came back even after being surgically removed like breast lump. I can’t help but wonder if there is an underlying issue of emotional nature that is contributing to the issue and that needs to be addressed? Beth Mogan also mentioned that she has come to believe that uterine fibroids can be the culmination of years of being plugged into a co-dependant relationship, where women experienced blocked creativity and blocked feelings because they are so locked into caring for or overprotecting their partners. She also saw a pattern of fibroids and its link to divorce. It can also be the result of repressed anger, sadness and feelings that they never acknowledged. This could come with being stuck in dead-end jobs or relationships. When she spoke to the women affected with fibroids, she often find the women were having romantic problems, getting divorced or dislike their work. She suggested, aside from seeking out conventional medicine to also seek out herbal practitioners (naturopaths) and counselling to release the anger. The other alternative treatment is acupuncture. She mentioned that as the women learnt to deal with these issues and persistently move these feelings out of the body, the fibroids shrink. However, this can be a long and often scary path as one need to work through one’s repressed emotions and at the same time be motivated and committed to go for treatment. I want to share that my mom, having undergo a tough life to raise us, and being stuck in an unhappy marriage with my dad (well, I love both of them but I must say, they are both so wrong for each other) had developed a fibriod with a size of a fist which showed up prominently in her ultrasound at least 10 to 15 years ago. I saw the ultrasound myself and was shocked. As my mom had already is quite frail from her tonsil cancer (surgery and 36 doses of radiotherapy), the doctors opted to just monitor instead of doing another surgery. My mom herself has refused to have the surgery- she told me that she did not want to go through any surgery again. Over time, she also developed Alzheimer like symptoms and definitely short term memory lost which got worse in the last few years. Hence, the role of caregiving is gradually reversed- with now she is totally on the receiving side of care. Now she sometimes gets angry …. like sometimes she tend to take words too personally but she is now expressing her anger. Even though she apparently is angry with me, but I sensed it was from the hurt, the anger and emotions that she had kept bottled up inside her from childhood (her real mother sold her to a servant’s family and she was physically abused in the family) to her working years in order to continue to earn a living and raise us. I have learnt not to take the outburst personally as I felt it was good for her to release her anger. During the last year due to her liver issue, I have been taking her regularly for checkups. The fibroid is no longer visible in her ultrasound scans. Beth mentioned that like uterine fibriods, it could be related to codependant relationships and may be considered a stress related illness in women. Endometriosis is a condition in which the layer of tissue that normally covers the inside of the uterus grows outside of it. 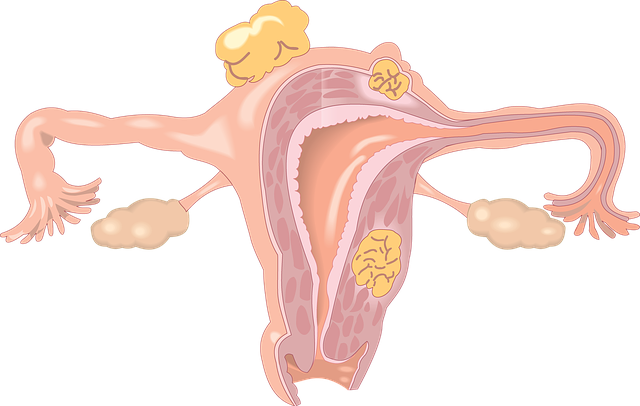 Most often this is on the ovaries, fallopian tubes, and tissue around the uterus and ovaries; however, in rare cases it may also occur in other parts of the body. I know of two persons who suffered from endometriosis. They had intense pain and continuous bleeding that they ultimately opted to have their entire uterus removed. One of them was then a 40 year old lady going through a period of extreme emotional upheaval and a successful but stressful job. She was bleeding so badly and in so much pain that the doctors have suggested hysterectomy. However, her bleeding was so bad that her hemoglobin count was too low and hence her surgery was initially postponed. That happened about 5 years ago and during that time I did not have much knowledge…. also I have not come across this valuable book. It is important for ladies who is having pelvic pain, fibroids, cysts and endometriosis to have regular check-ups with their gynaecologist to rule out cancer and malignant tumors. At the same time, to look within and if there are emotional issues…. then to consider seeking counselling or therapy to deal with the situation. It is not always that we are able to triumph against deeply rooted issue or trauma, some that may not be apparent as it could have sunk into the subconscious, away from memory. Some of this could be long forgotten issues of sexual abuse which one may suppress from conscious memory but in which the mind never forgets. Even though illness is often a message that our body tries to tell us, but at times it is not something that we are prepared to listen or be able to cope with the fear and possibly terrors that may get awakened. In this instance, it may be more appropriate to go with conventional forms of treatment which ranges from medication, hormone treatment to surgery and radiotherapy. At the same time, if a person is too old, frail, weak and mentally unable to withstand the pain and side effects of the treatment. Not only in the instance of my mom, but elderly and frail folks may choose quality over quantity.